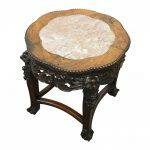 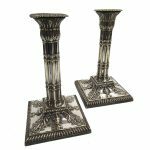 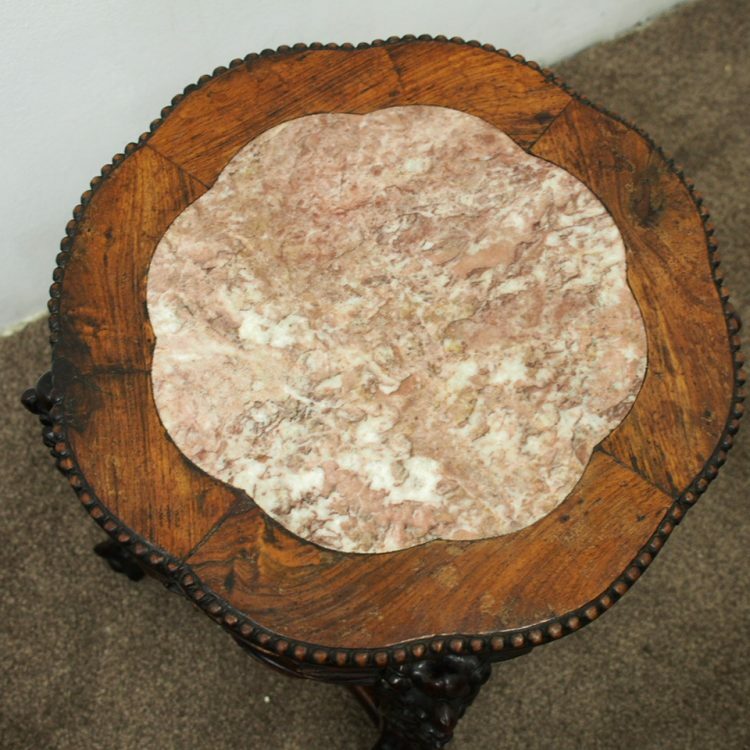 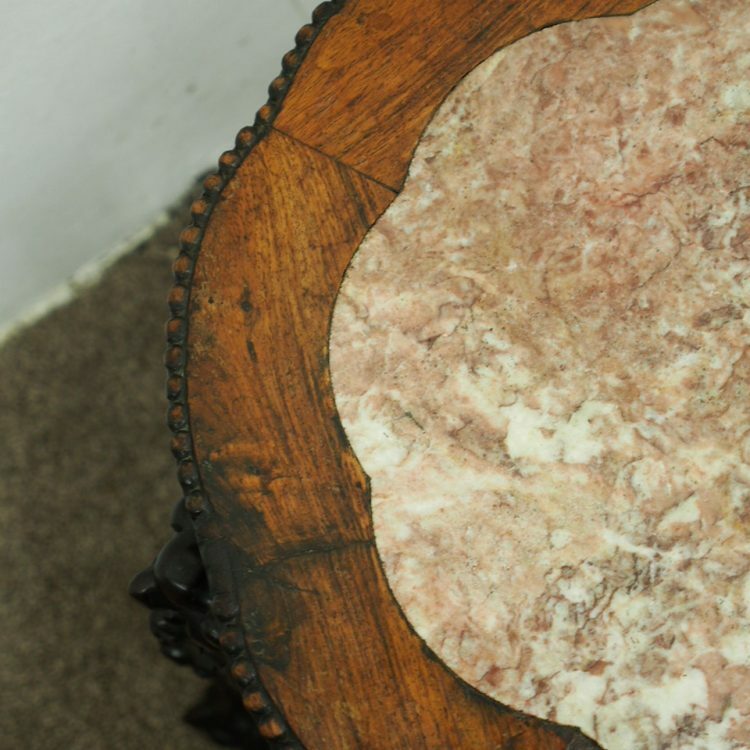 Circa 1890, Chinese petal shaped marble top plant stand. 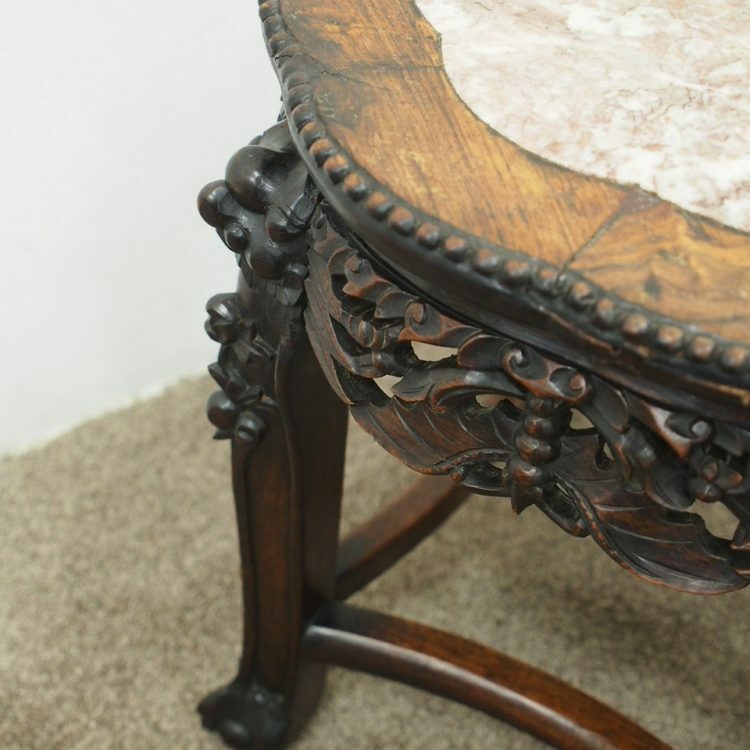 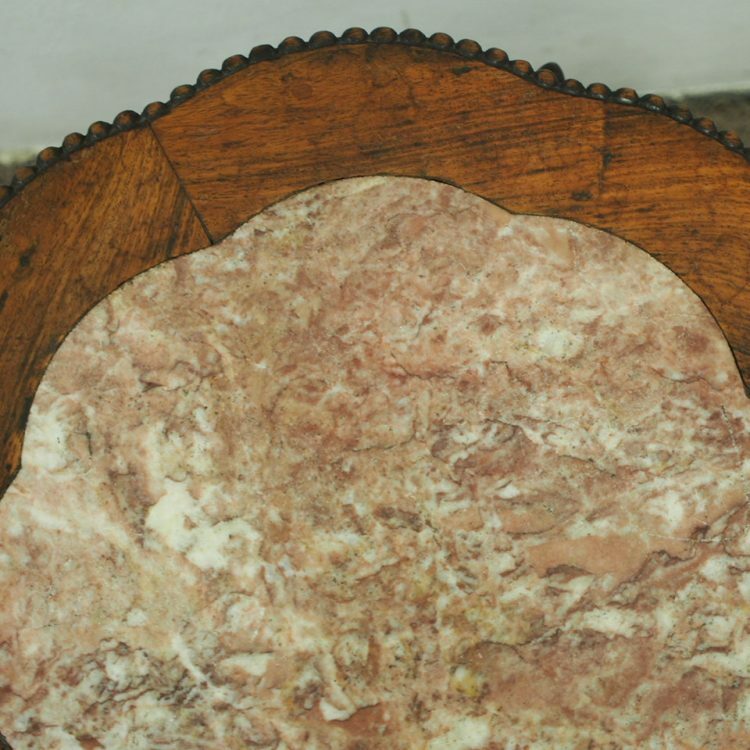 The top has a petal shape frame with pink variegated marble insert which follows the same shape, and a beaded fore-edge above a carved open fretwork apron. There are 4 dragon mask faces to the top of the legs and between them are concave stretchers uniting the legs and finish on animalistic feet.